We know Oregonians care about nonprofits and the important work we do in communities across Oregon. We know that they care with their time and treasure, but there has been a lot of talk this year about the implications of the new tax laws on charitable giving. Has it left you feeling confused or worried about a down-turn in fundraising for your organization? Are you unsure how to answer donor questions about tax credit eligibility? Have you been hearing a lot about Donor Advised Funds as a mechanism for giving this season? This session will give nonprofit EDs, Boards and Fundraisers an overview of the changes to tax law that has a lot of folks fearing a major reduction in charitable gifts this year. You’ll hear reflections from a panel of nonprofit leaders from Central Oregon on what they are already seeing and you’ll be able to participate in a Q and A session on what your nonprofit may be able to do to keep their donations up. This promises to be an invigorating discussion, and we know you have a lot to contribute. We hope you can join us in inspiring our donors to #CarelikeanOregonian! This event focuses on Resource Development and Communications & Public Affairs. For additional resources in this category, visit: Resource Development and Communications & Public Affairs. Zak Boone is the Executive Director of the Central Oregon Community College Foundation. Zak received his Masters of Public Administration with a focus in nonprofit management from Portland State University, and Bachelor of Arts in International Affairs from Lewis & Clark College. 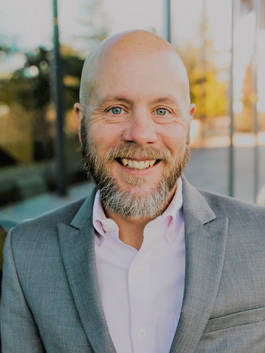 Zak has worked in respected charities in Central Oregon since 2007, including serving as Executive Director for the Bend Ronald McDonald House from 2007-2011 and as Associate Director for the Deschutes Land Trust from 2011-2015. He is also actively involved in the Rotary Club of Bend/Mt. Bachelor serving as Club President for 2018-19, and a past board member and chair of the programs committee. Zak’s areas of professional expertise include major gift fundraising, community engagement, board governance, planned giving, relationship cultivation, strategic planning, event planning, media relations and branding. Heather Vihstadt, Director of Development of the High Desert Museum, has been a leader in the nonprofit sector for more than a decade. She has a Masters in Nonprofit Management with a Certificate in Capacity Building and she is a Certified Fund Raising Executive. Prior to her work at the Museum, she served as the Executive Director of the Education Foundation for Bend-La Pine Schools and Council Director for Girls on the Run of Deschutes County.